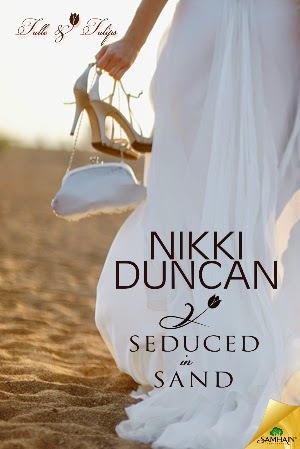 Happy Release Day to Nikki Duncan! Join us today on Facebook to celebrate the release of Seduced in Sand, there will be lots of fun and prizes! Tabatha attempted to formulate a plan for dealing with her husband. Unfortunately, she had nothing when she reached him, which gave him the opening he no doubt had been looking for. Danny stood, took her left hand in his right one and kissed her before she could react. It wasn’t a kiss on the hand or cheek that could be easily brushed off. No. He leaned in, locked his gaze with hers and kissed her full on the mouth, teasing her closed lips with the tip of his tongue. The moment she gasped, opening her mouth, he eased back and grinned. She tugged at her hand he still held, but he wouldn’t let her go. “Why are you here?” She didn’t ask how he knew where to find her. She hadn’t offered the information to him, but it wasn’t exactly a secret. Still, no matter how public her Twitter profile was, she didn’t want him around her work place or her friends. Her meddlesome friends. Regret or remorse or whatever he was expressing struck her as uncharacteristic. He’d never been a bad guy, but his self-centeredness had kept him from ever saying he was sorry and meaning it. The sincerity in his tone made it tough for her to refuse him. “Pick one.” The man infuriated her when he pretended not to know what she was talking about. There’d been a time he could make her laugh with the pretense, because he’d always turned it into a game that led to bed. They’d been really great in bed. “I had to come. You needed this.” Still holding her hand, he lifted his left one and uncurled his fingers. In his palm sat a tube of lip gloss. Not any lip gloss. The same brand and flavor he’d given her on their first date. Looking at the offering was all it took to sweep her back in time when a whirlwind of gestures had carried her into a bliss she hadn’t wanted to see fade. Her heart fluttered, suggesting yet again that her feelings hadn’t faded as much as she’d like. She didn’t hold the second laugh back. And she did enjoy kissing him. So much so, in fact, that they’d spent the first date on the couch making out. She’d avoided that brand and flavor of gloss since moving from California, but now, seeing it in Danny’s palm, she was helpless. 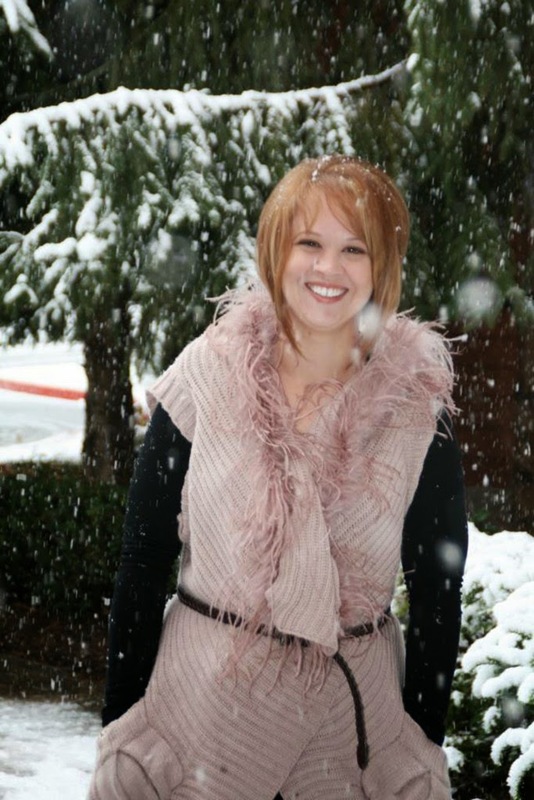 Tabatha reached out and took the gloss. The instant her skin brushed his she knew she’d messed up. She’d given him an inch. With his next words he turned it into a square foot. Days once filled with heart stopping puppy chases and aborted hangings of vampire Barbie now resound with the high notes and low notes, the trills and vibratos, and the dynamics of two budding musicians in the hectic life of Nikki Duncan. The athletic equestrian turned creaky jointed author is drawn to the siren song of a fresh storyline. Nikki Duncan plots tragedies over breakfast, sexual adventures over lunch and turns to sensual phrases after dinner. Every story greets her with the anticipation and pleasurable excitement of unraveling her characters’ motivation and keeps her writing well past the witching hour. The only anxiety and apprehension tormenting this author comes from pondering a heartfelt outcome to satisfy her characters and readers.